With thirteen years of research and design behind it, Cortlandt Healthcare is proud to be the key provider of this incredible program. Based upon sound and proven therapeutic principles, True2Life goes beyond traditional therapy. Its fundamental processes focus on how you live your life, whether an avid skier, professional chef, homemaker or athlete. Through a series of targeted questions, a plan of care is developed as part of its modular system that breaks down your daily life into workable and therapeutic measurable tasks. As you work within these individual modules, your progress is constantly evaluated and your plan of care changed to meet your progress. 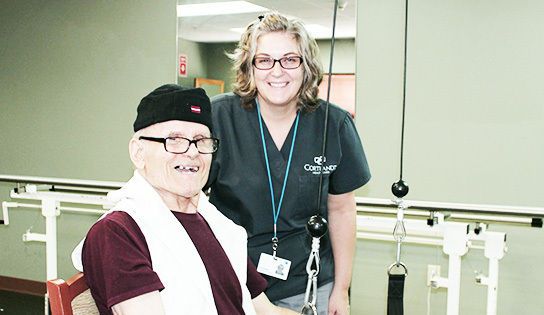 Through this process, patients are not only getting stronger, but they are receiving feedback critical to confidently and successfully get back to their daily lives.